The humble ATM. We’re surrounded by them. Since Chemical Bank opened the first ATM in 1969, consumers have had access to their money more conveniently than waiting in line for a bank teller. 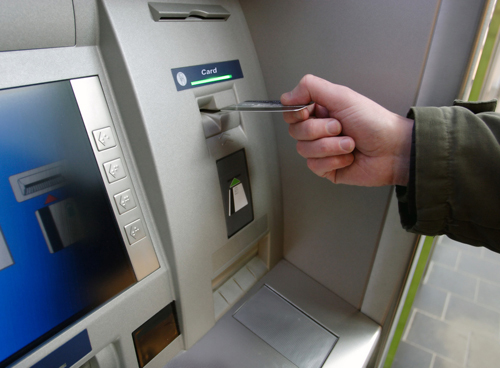 ATMs have evolved over time, becoming smaller, smarter and ubiquitous. The advent of ATM surcharges meant that every mom and pop grocery store, gas station and bar could afford to put one in. ATMs can now accept checks and cash for deposit without using an envelope. ATMs have been used to sell postage stamps and airline tickets. The newer Chase ATMs now stand in between customers and tellers, offering a wider array of services. Open your bank’s mobile app. Specify the amount of cash you want to withdraw. Tap your phone against an NFC reader. Cash pops out of a dispenser. Your receipt is shown on your phone. This eliminates the screen, keyboard and printer. Banks benefit in a number of ways: less space per machine, lower costs, more throughput per machine (due to shortened transaction times) and eliminating skimming at the ATM. Consumers benefit from more convenient access and shorter line times. Previous Post What would 9/11 and its aftermath look like with the social tools we have today?